Strenuous physical exercise or stress, climate and air pollution produce antigens which our immune system tries to fight against. 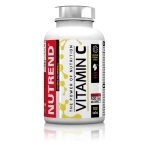 When we provide our organism with a sufficient amount of appropriate vitamins and minerals, it is strong enough and we feel inner peace and balance. However, if we fail to supply these vitamins and trace elements in sufficient quantities or if our body is out of balance, there can be medical complications. The NUTREND company offers a comprehensive range of products just to avoid such situations. You can rely on high-quality vitamins, minerals, antioxidants or support of the system of joints. 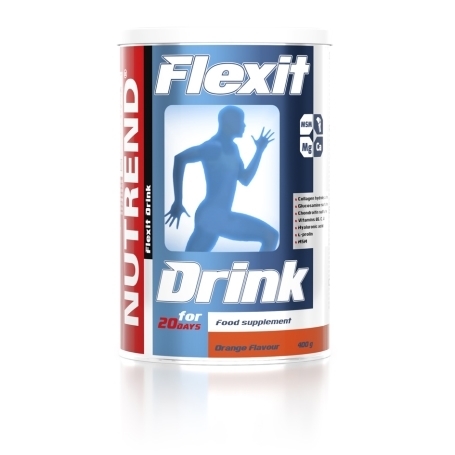 FLEXIT DRINK is a unique product for comprehensive joint care. 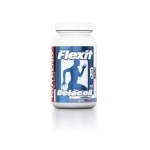 It cares for the prevention of joint capsules and the wear of tendons and ligaments. Customers seek this product for its positive impact on the quality of their skin, hair and nails. FLEXIT DRINK is a unique product for comprehensive joint care. It cares for the prevention of joint capsules and the wear of tendons and ligaments. Customers seek this product for its positive impact on the quality of their skin, hair and nails. Its main components are the amino acid L-proline, glucosamine sulphate, chondroitin sulphate, MSM and hyaluronic acid. FLEXIT DRINK is enriched with magnesium and vitamins B6, C and D, and it is also a source of large quantities of high-quality collagen proteins. 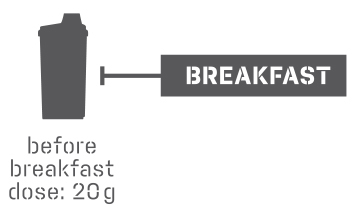 Recommended dosage: mix a 20-g dose in 250-300 ml of water and take in the morning on an empty stomach. Do not exceed the recommended dosage. Use: Shake before use. One measuring scoop corresponds to 25 g. Dilution ratio: 10 g (20 g) into 250 ml of water. Pour appropriate amount of powder into small amount of water, stir and refill the desired volume. Once opened, store at the temperature not exceeding 25 °C and use within 2 months. Does not replace a varied diet. Not intended for children, pregnant and nursing women. Keep out of reach of children! Store in a dry place, at the temperature not exceeding 25 °C and away from direct sunlight. Do not freeze. The producer is not liable for any damage caused by improper use or storage. Grapefruit: gelatine hydrolyzate, maltodextrin, calcium gluconate, magnesium gluconate, L‑proline, glucosamine sulphate potassium salt (origin in shellfish), acidity regulator citric acid, MSM (methylsulfonylmethane), chondroitin sulfate, aroma, vitamin C (L‑ascorbic acid), acidity regulator malic acid, anti-caking agents calcium phosphate and silica, sweeteners acesulfame K and sucralose, hyaluronic acid (sodium salt), aroma naringin, vitamin B6 (pyridoxine hydrochloride), vitamin D3 (cholecalciferol). Contains allergen: crustacean. Product may contain traces of soya and milk protein. Orange: gelatine hydrolyzate, maltodextrin, calcium gluconate, magnesium gluconate, aroma, L‑proline, glucosamine sulphate potassium salt (origin in shellfish), acidity regulator citric acid, MSM (methylsulfonylmethane), chondroitin sulfate, vitamin C (L‑ascorbic acid), acidity regulator malic acid, anti-caking agents calcium phosphate and silica, sweeteners acesulfame K and sucralose, hyaluronic acid (sodium salt), vitamin B6 (pyridoxine hydrochloride), vitamin D3 (cholecalciferol), colouring agent beta-carotene. Contains allergen: crustacean. Product may contain traces of soya and milk protein. Peach: gelatine hydrolyzate, maltodextrin, calcium gluconate, magnesium gluconate, aroma, L‑proline, glucosamine sulphate potassium salt (origin in shellfish), acidity regulator citric acid, MSM (methylsulfonylmethane), chondroitin sulfate, vitamin C (L‑ascorbic acid), acidity regulator malic acid, anti-caking agents calcium phosphate and silica, sweeteners acesulfame K and sucralose, hyaluronic acid (sodium salt), colouring agent carmine, vitamin B6 (pyridoxine hydrochloride), vitamin D3 (cholecalciferol), colouring agent beta-carotene. Contains allergen: crustacean. Product may contain traces of soya and milk protein. Strawberry: gelatine hydrolyzate, maltodextrin, calcium gluconate, magnesium gluconate, L‑proline, glucosamine sulphate potassium salt (origin in shellfish), acidity regulator citric acid, aroma, MSM (methylsulfonylmethane), chondroitin sulfate, vitamin C (L‑ascorbic acid), acidity regulator malic acid, anti-caking agents calcium phosphate and silica, sweeteners acesulfame K and sucralose, colouring agent carmine, hyaluronic acid (sodium salt), vitamin B6 (pyridoxine hydrochloride), vitamin D3 (cholecalciferol). Contains allergen: crustacean. Product may contain traces of soya and milk protein.